One of the biggest new features that will come with Sims 4 are emotions. Sims are no longer keeping their feelings to themselves, they show you if they are happy, sad or angry. This shows in their faces as well as in the way they walk. Grant Rodiek (SimGuruGrant) introduced us to the topic. You can get a first impression yourself by watching the second part on the official Sims 4 Gameplay Video which shows part of what we got to see too. The system is new and there are many things that will still change until the game is ready to ship. Contrary to other presentations, Grant focused on explaining things and answering many questions instead of actually showing us a lot on the screen. Because of this, the presentations was rather theoretical (but fun nonetheless) and the idea behind not always that clear, especially to us foreign speaking people. Please read my report with caution. There might be things in there that I didn’t catch right. I tried to explain everything how I understood it but this can differ from what you’ll see in the final game or what you read on other reports. Emotions are on of the key features in Sims 4 and always present. They influence your Sims live very heavily but Grant emphasizes that the devs try to make the game, that it always makes sense. The player should be able to understand why a Sim that was happy minutes ago is now walking around like the weight of the world was on their shoulders. Emotions are like temporary traits. Both systems work similar. There are interactions that only show up for Sims with a certain trait or if they have a certain emotion. They not identical though and emotions can trigger different things than traits can. As an example they show as a pirate ship which is a gigantic playground for children. A childish Sim can play on it with his children as long as he’s happy. If he’s sad and feeling down, the interaction is no longer there. The goal of the system is to let every day be new and exciting. Each day can have a different outcome and this will give the player new possibilities. Some things can happen only once in your game since certain requirements need to be present that the day goes the way it does. Sims 4 Sims don’t have wants like Sims 3 Sims do but there will be a goal and reward system. There are no further details on it just yet since they haven’t made any final decisions. Emotions will help to achieve those goals and the goals will be based on what is going on in the Sims live (although they do also seem to have an aspiration from Start since that is an option in CAS). The player can choose some of theses but there are also the ones which are based on what the Sim wants. What Emotions are there ? All age groups have emotions but the system doesn’t have the same level of intensity for them. Interacting with objects can influence your Sims emotions. Depending on what mood they are currently in, objects have different Interactions. An angry Sim can take a cold shower or take out his anger at a punch bag. This will calm him down. A sad Sim can be cheered up by a friend or take a relaxing bath. It’s up to the player if they want the emotion to be affected by the object. An angry Sim that wants to take a shower can take a cold one to cool down or just take a shower to get clean. Emotions are influenced by everything. That can be the decoration of a room, the clothing they wear, a TV show or a book or even what they a meal or a drink. The environment (pictures on the wall) can enhance an existing feeling but not drastically change it. At happy sim will not be sad just because he walked by a sad painting but a sad Sim can become depressed when he does. As mentioned above, everything should make sense and the player should understand how they got there. A direct interaction with such a painting can change the emotion though. Contrary to Sim 3, it’s not the goal to keep your Sims mood up all the time. All sorts of emotions can be fun. This allows the player to tell different stories. Find out how far you can push your Sims. A sim can wake up in a certain mood that can last the whole day but a string of events can drastically change that. A tough day at work for example, can stress your Sim and he comes home in a bad mood although the day started out so well. Emotions also influence your Sims skill. Each skill which they have in the game at the moment can be assigned to a certain emotion: Focused (Logic, cooking, woodworking, ..), Inspired (Writing, Painting, Music, …) or Energetic (for physical skills like athletics). If a Sim is in that emotion when he’s skilling, he learns the skill faster. This does not mean that other emotions can’t benefit a Sim while skilling. Depending on the emotion, a certain task can have different outcomes. A sad Sim can paint some melodramatic masterpiece that he would not have achieved if he had been inspired instead. Emotions are not bad or good, they give the player new perspectives – but if you push your Sims to far, they can die. Sims can die from emotions but such a death is always predictable and it’s up to you if you want to let it continue or not. Sims shouldn’t randomly die from no choice anymore (like hit by a satellite) but they are consequences of how you play. You have warning signs, you will see it in their face and walk and the Interface also gives you an indication where your Sims is going. You always have the lessen the current emotion and make sure that they don’t die. It’s all about telling your Story and not having to reload the game just because some unforeseen event made your Sim die. The emotions your Sim has show in his face but they also have a special walk stlye. You can give your Sim a default walk in CAS but they can be overridden by a emotion-specific walk. Those walks are not there all the time and there are emotions that don’t have their own walk. Emotions can make the Sims 4 very interesting but the outcome can also be very bad. Emotions will be omni-present in the game so I hope they’ll make sure it does not get overwhelming. Emotions are an important part of our lives and it will be hard to transfer that to a computer game so that it doesn’t become ridiculous. The ideas do sound good in theory but how will they implement it ? Will everything be exaggerated like in Sims 3 ? Will Sims become obsessed or will the System make your Sim more life-like and not so robotic – something that is painfully absent in Sims 3 ? In my opinion this is the feature that makes Sims 4 game-play either good or bad. All we can do is wait and see if Maxis can achieve the fine line between an diversified game and one that gets repetitive very fast and if it will have the humor many missed in Sims 3. Sims will age and the neighborhood will progress as well. There’s no info to what extend we are free to choose the options here. 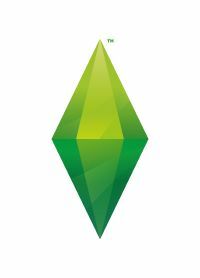 At the moment there’s no info if there will be memories in the game but it might have a way to keep track of what has happened in your Sims life.